Lacquer-based product, which increases water resistance on ink jet media. Water resistant for excellent print protection. Non-yellowing formula for longer lasting prints. 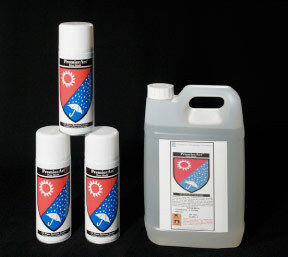 UV blocker doubles the lightfast rating. Low Solid Formula can be used on photographic medias to keep the original surface texture. Rated by Wilhelm Research, Epson and HP to increase print longevity.